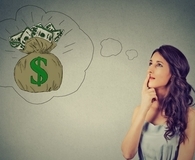 What benefit do you get from all of the extra spending to inflate your lifestyle? The simple answer is that you get nicer stuff. But is buying the nicer stuff making you happier than you would be without it? According to a phenomenon called the Diderot Effect, buying nicer stuff can actually make you less satisfied and lead to spiraling consumption. The Diderot Effect is named after the French philosopher Denis Diderot who described the following scenario in the 1700s: He received some very high quality clothing as a gift. The new clothes made his old clothes and even his furniture and artwork seem shabby in comparison. Diderot was no longer satisfied with his possessions and went about upgrading most of his belongings to try to find satisfaction again. Another aspect of the Diderot Effect is that people tend to buy possessions that form a culturally complementary set. In other words, you see yourself as belonging to a particular cultural group and tend to buy possessions that reflect this status and that are consistent with your other possessions. However, if you get some higher status possessions, this can drive you to see yourself in a higher cultural status. You will then strive to upgrade all of your possessions to match your perceived status and be complementary with your other possessions. So getting a fancy refrigerator can make you feel like the kind of person who has fancy things and lead you to upgrade accordingly. Lifestyle inflation is a vicious cycle. You spend more money to buy nicer things that ultimately make you less satisfied. You then spend more money trying to find satisfaction and the cycle continues. Unfortunately, no matter how much money you spend, there will always be something newer, nicer, or better that you want to buy. Break the cycle with "lifestyle leveling"
The way to break the cycle of spending more and more money in pursuit of happiness is to realize what is happening and short circuit the Diderot Effect. When you do spend money, buy things that are consistent with your other possessions. In the kitchen appliance example, you could buy a midrange appliance instead of the high-end model, or even find a used appliance the same age as your other appliances. 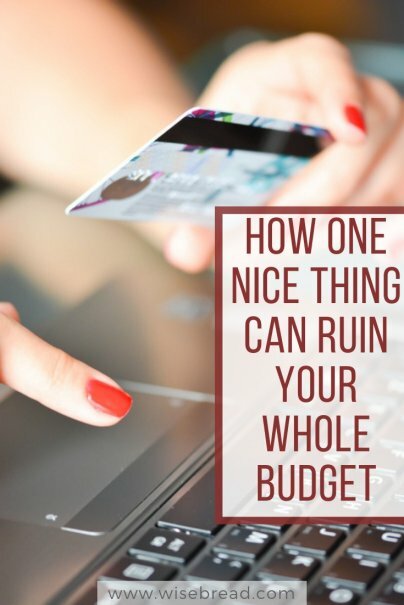 This way you will spend less, and keep your lifestyle level and consistent instead of buying something much nicer than your current possessions that could spark dissatisfaction and send you into a spending spiral. The concept of lifestyle leveling will help you to maintain a consistent lifestyle — and spending level. Gain control over lifestyle inflation by upgrading your lifestyle by choice, not as an unintended consequence of the Diderot Effect. When it comes down to it, you don't need the nicest things money can buy — especially if you don't have the money to spend. All you need are things that work well and make your life easier. And there are plenty of ways to find items that fit those requirements without letting the Diderot Effect destroy your perception of needs vs. wants.